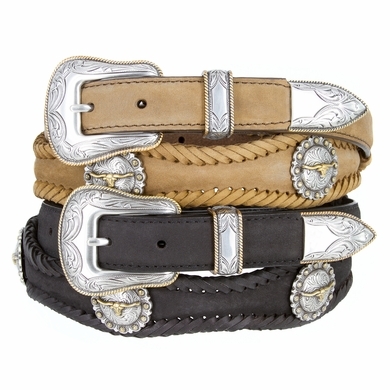 Hand Polished Sterling silver and gold plated three piece buckle set and Longhorn Steer With Berry Conchos made from hand engraved masters. This item ships same or next business day. Sizes Available from 26" thru 60".